Spring Break 2015 started on Good Friday, April 3 with a road trip from Kensington, Maryland to Charleston, South Carolina – a 550 mile drive that took almost 9 hours. My post-trek reward? Beer and BBQ! 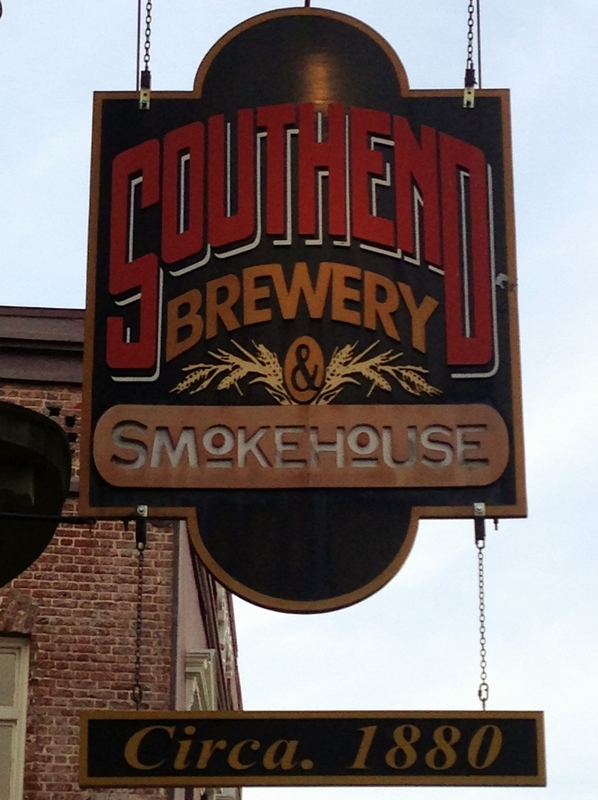 We were on our way to Tampa, Florida, and even though Charleston wasn’t directly on the route, the food and beer at Southend Brewery & Smokehouse made “Chuck Town” the perfect pit stop. 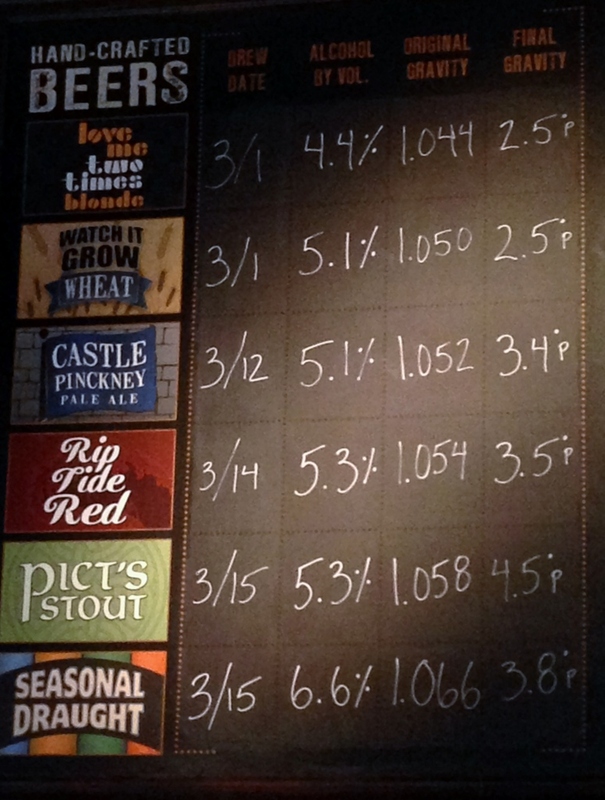 The last two brews on my list were the seasonal selections, and they were the best of the bunch. 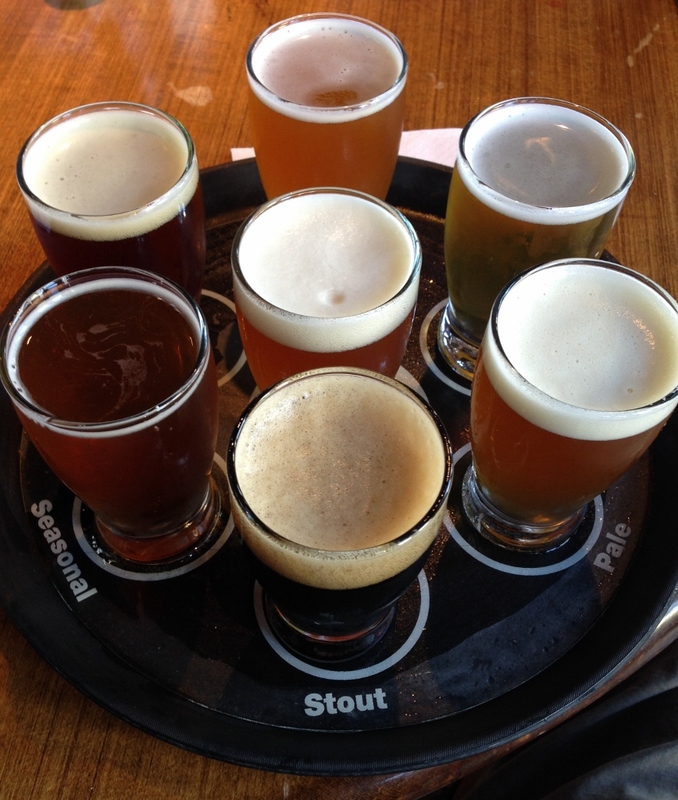 I especially liked the strong, thick, and tasty IPA, and I ordered a separate pint after the sampler. The food at Southend was awesome! For starters, we enjoyed Pimento Cheese Dip with pita chips and Sweet Onion Hushpuppies with local wildflower honey butter. And for dinner, I had the Pulled Pork Sandwich. Yum! I wasn’t done with local brew when I left Southend. 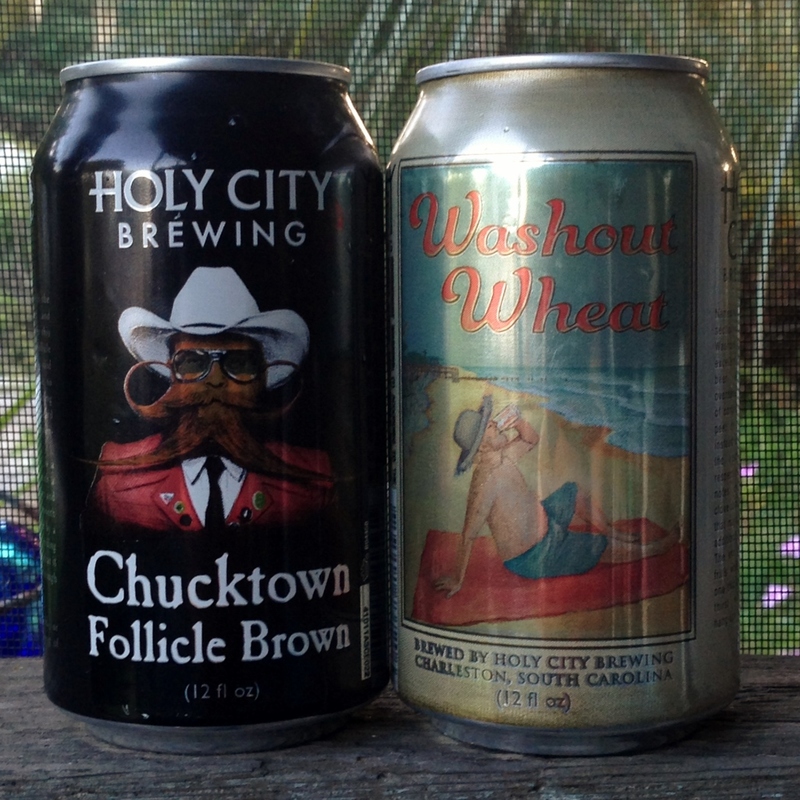 At the Harris Teeter near the hotel, I picked up two six-packs of cans from Holy City Brewing: the hoppy Chucktown Follicle Brown and the refreshing Washout Wheat. What a great start to Spring Break 2015. 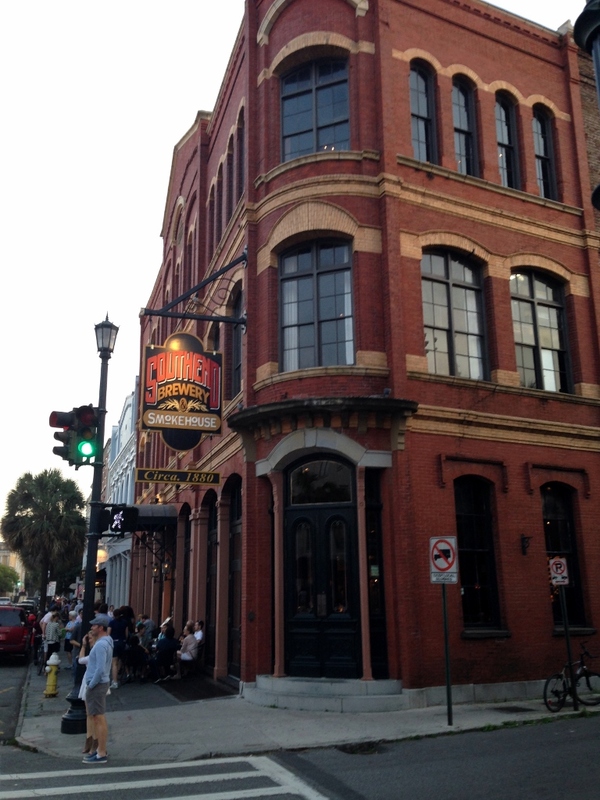 Charleston is a beautiful historic city with traditional southern charm — not to mention the craft beer and BBQ! 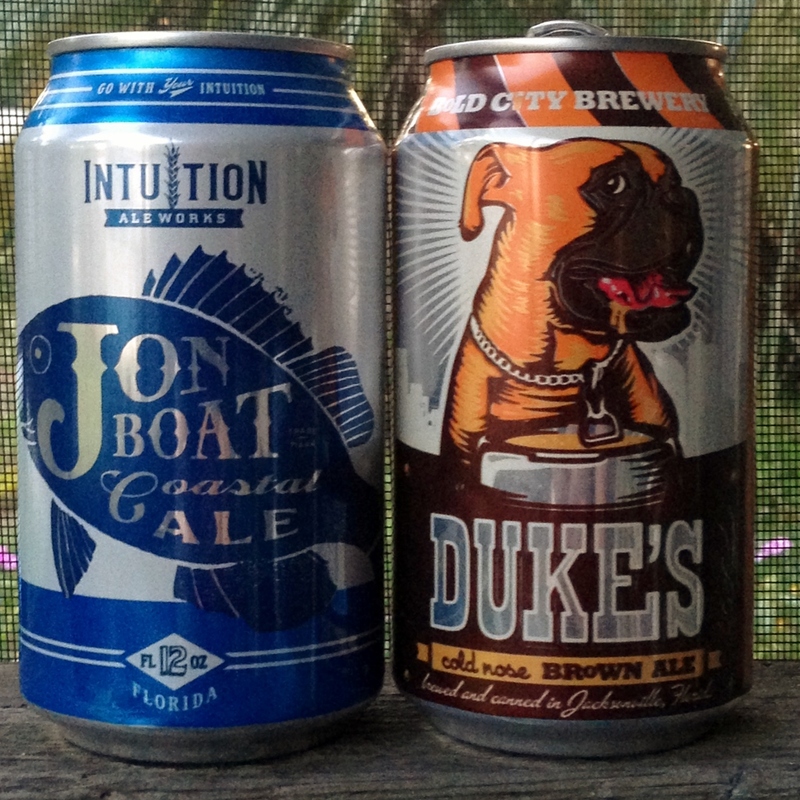 We left Charleston this morning and drove to the Tampa area; along the way we stopped in Jacksonville, where I picked up two six-packs of cans from Jacksonville breweries: Jon Boat Coastal Ale from Intuition Ale Works and Duke’s Cold Nose Brown Ale from Bold City Brewery. Both brews hit the spot after 16+ hours on the road the last two days.